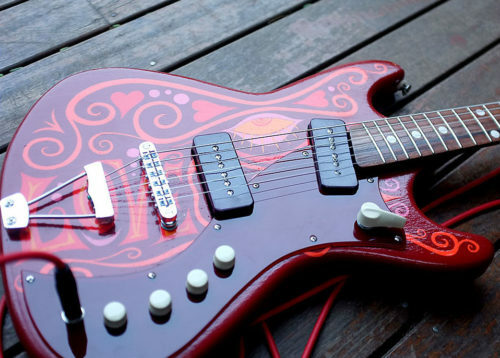 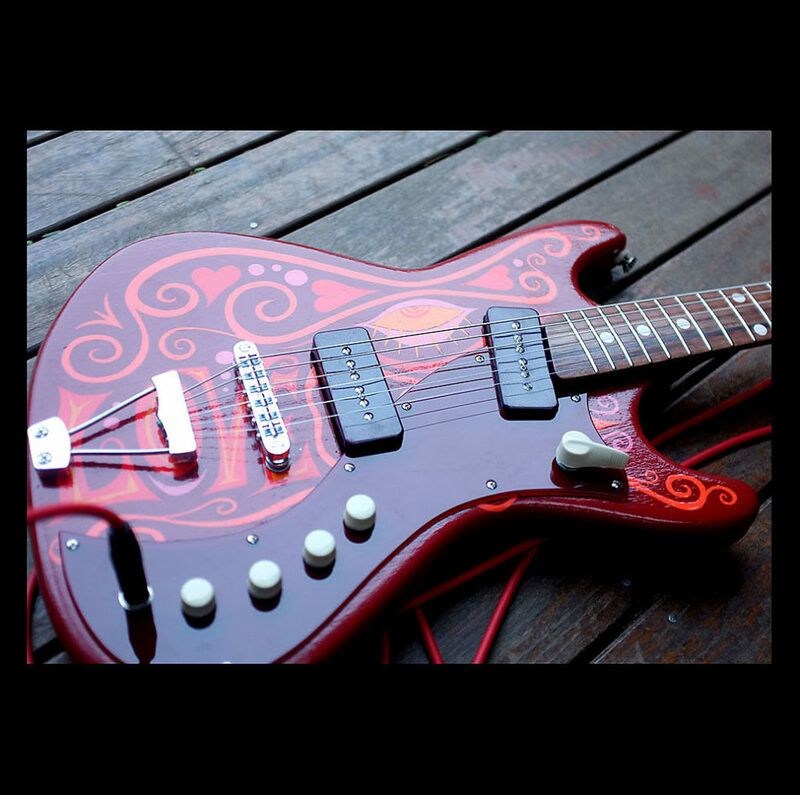 That said, you gotta figure the be-all and end-all for this guitar is the vibe, that indelible paint job, the mix of purple pickup covers with a ruby red acrylic pickguard and simple phenolic knobs that pop contrasted against that backdrop, the Kay-inspired headstock with its psychedelic inlaid medallion… We’re also drawn to the sweet, subtler touches, like the oversized position markers and the angle of the fingerboard extension. 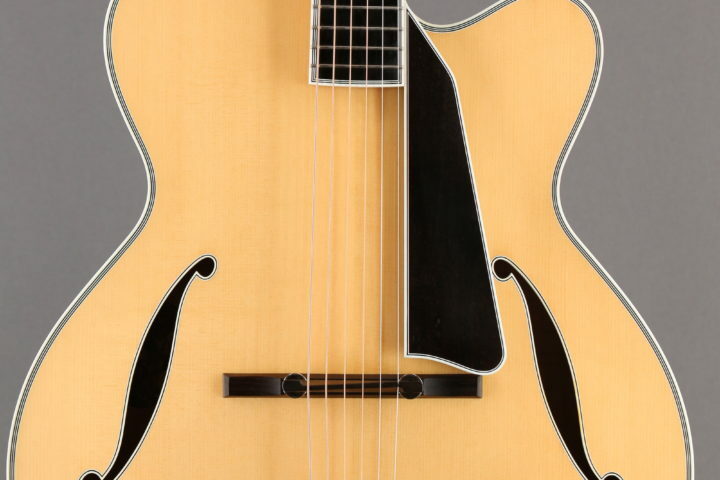 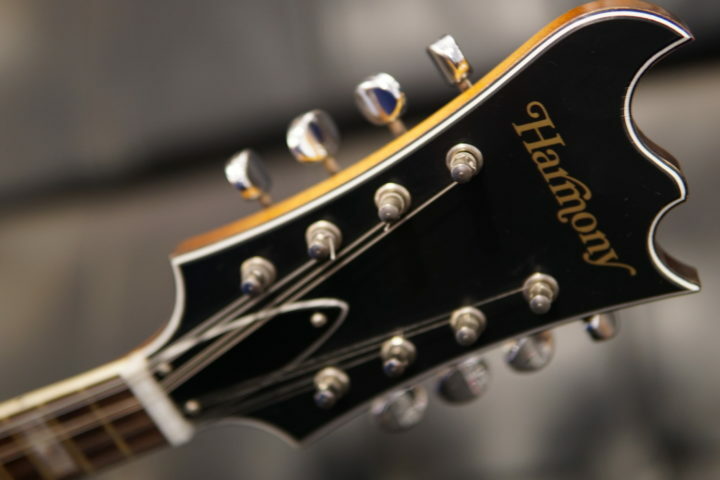 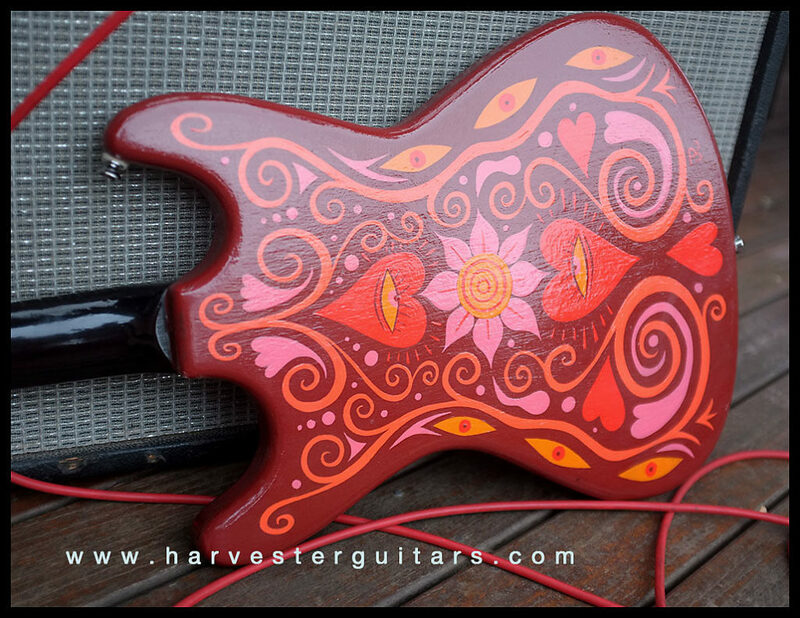 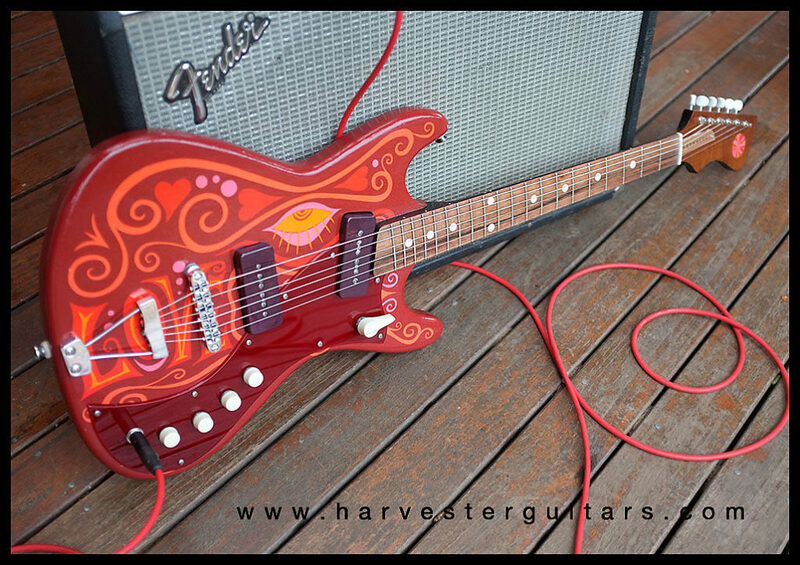 And, here’s the kicker: for whatever reason, a Harvester guitar isn’t going to cost you an arm and a leg to begin with, and Anthony recently dropped the price on this one: $2,880 (plus $200 for shipping). 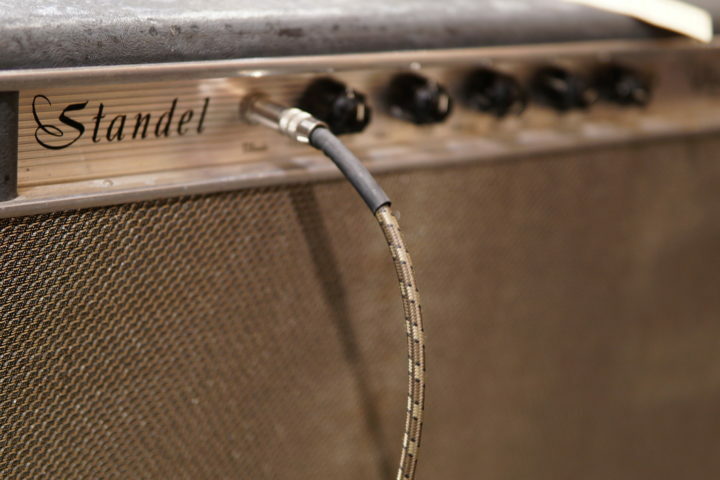 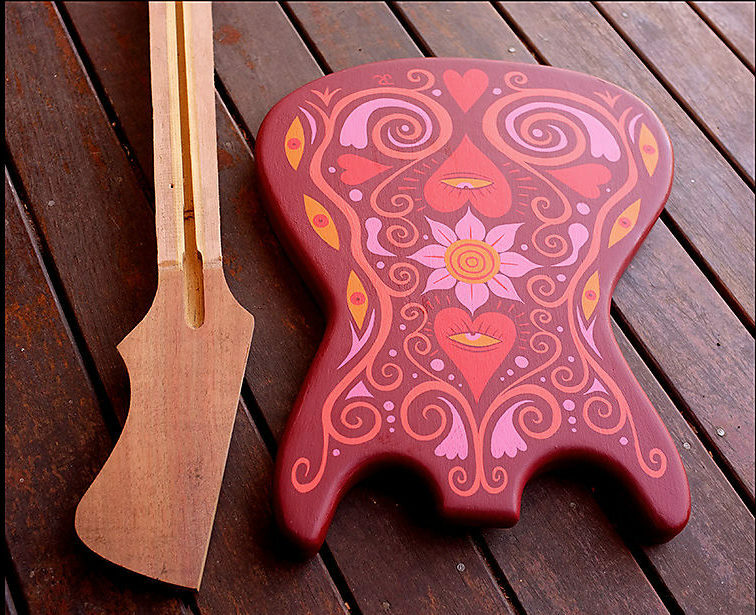 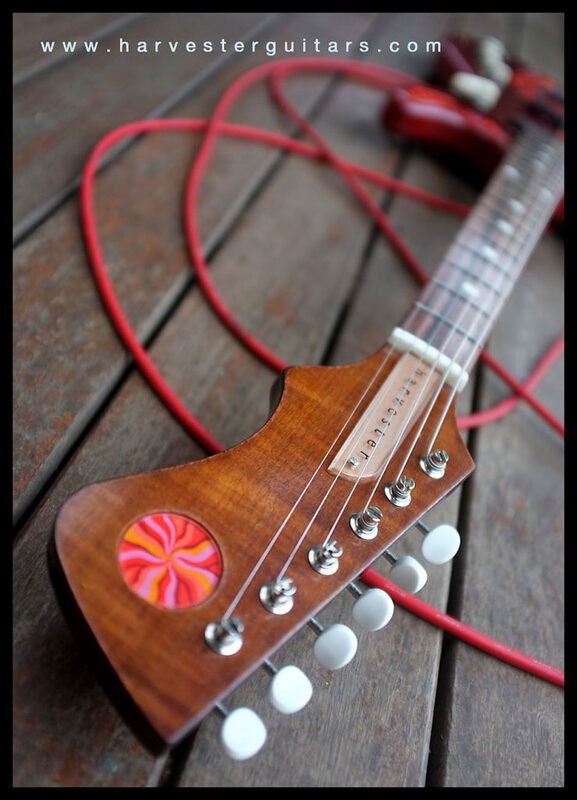 Not bad for a one-of-a-kind boutique instrument.